A Michigan Victim’s Rights Attorney will Passionately and Aggressively Advocate for Your Rights as the Victim of a Crime. We will Make Sure that Your Voice is Heard and your Rights are Protected. If you’ve been victimized by a crime, the last thing you need is a hassle from the system that’s supposed to get you justice. There are times when the system is going one direction and your interests or the best interest of your family or business is in another direction. The fact is that in many cases, prosecutors and police officers handle a case in a way that the victim of the offense does not agree with or, in some cases, in ways actually are damaging to victims, their families or their financial interests. 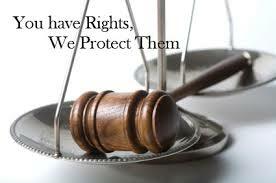 The best way to have your voice heard is to be protected and represented by a Michigan Victim’s Rights Attorney. Crime victims have many rights, including the right to be treated with dignity and the right to restitution. But getting the full benefit of these rights can take more time and energy than the prosecution can provide. Also, there are cases where a highly influential defense lawyer can manipulate the system into catering to the defendant and the victim’s interests get overlooked. This is where a Victim Advocate comes into play. • assist with the process of calculating and collecting restitution. 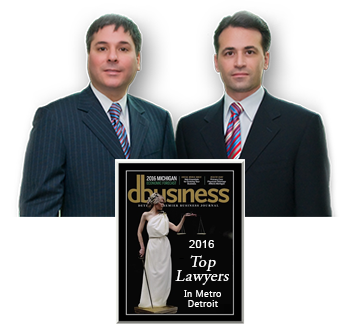 The background of the attorneys, staff and associates of LEWIS & DICKSTEIN, P.L.L.C. as cops, former employees of the prosecutor’s office including a former victim advocate and highly skilled criminal defense attorneys make us uniquely situated to guide victims through the criminal justice system and advocate for them when they are not being heard. If you have been victimized by crime, our Michigan Crime Victim Advocate Attorneys can help ensure that you are treated with dignity, get access to all the services you need, make sure your voice is heard and get you the compensation you deserve. Sometimes crime victims get lost in the system…even though it’s not supposed to be that way. Prosecutors represent the “people” as opposed to individual “victims,” and victims don’t always have someone looking out for their best interests. A crime victim advocate is someone who advocates for the victim. What are the legal rights of the victim? Although Michigan does have a Crime Victim’s Rights Act, it falls short in comparison to acts of other states. Michigan places onus on the victim to contact the prosecutor for any information regarding the crime for which they are a victim of. By increasing the power of victims, prosecutors and police incorrectly perceive they will have a corresponding loss of power. In Oakland County, Macomb County and Wayne Counties for example, the prosecutors frequently take a position that the charges are not “brought” by the victim and the victim is “just a witness.” They tell the victim what charges are pressed, what charges are dismissed, what plea bargains are offered and what restitution is requested is exclusively their decision. The Victim’s Advocates with LEWIS & DICKSTEIN, P.L.L.C. will aggressively advocate for our client’s position to be honored and be given due consideration. If the docket prosecutor will not listen, we will move up the chain of command until we know that our client’s voice is heard loud and clear. An area where we are frequently consulted with by alleged victims are domestic violence or domestic abuse cases. It is not uncommon for police to be “creative” when completing police reports and documenting statements allegedly made to them by a “victim” or children who were allegedly present when an incident or disturbance occurred. Officer’s frequently claim that they “have to make an arrest” and then go about justifying the arrest with exaggerations or presumptions. In many of these cases, the complainant does not want the prosecution to proceed and may believe that dealing with a conflict without court intervention is in the best interest of their relationship or their family. Although it is clearly true court or law enforcement intervention is necessary and justified, it is equally true that there are many cases where an incident is isolated or highly unusual or the allegations were made in anger and are really not truthful. Prosecutors will generally flat out refuse to listen to a domestic violence complainant when he or she asks for the case to be dismissed or seeks therapy or probation instead of jail time. When we are hired on these sensitive cases to be a Michigan Victim’s Rights Attorney, we will take the time to listen to our client, help find a solution that is feasible and speak persuasively enough that the prosecution will hear our client’s position and get a more complete understanding of any important individual circumstances. We will take the time to represent you and advocate your position in and out of court. We do charge a fair fee for our time and in many cases we can charge by way of a flat fee or an hourly fee (with a flat fee retainer). We will do everything possible to craft a fee that is fair to you and fairly compensates us for our time and experience. You work hard for your money and we know that if you are going to take the time and go to the expense of hiring retained counsel, you want to make sure that the firm you hire will work tirelessly and tenaciously on your behalf. We will do exactly that. 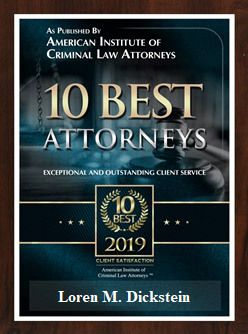 If you are the victim of a crime or listed as a complaining witness and you are not being heard, you are being neglected or you want your input to have more consideration by the prosecutor or the judge, please call us for a free consultation. If you hire us to advocate for you, we will take the steps necessary to help you and make sure that the judge and prosecutor hear and consider your concerns. We will not let you be ignored. Please call (248) 263-6800 today for a free consultation with a Michigan Victim’s Rights Attorney or kindly fill out a Request for Assistance Form and we will promptly contact you.